An excellent shielded speaker cable, one of the best we've ever heard at such a low price. Earn 5 loyalty points when you order this item. Chord's C-screen shielded speaker cable is designed for either home cinema systems or audio and joining Chords award-winning line up of shielded speaker cables, including the renowned Clearway and the high-performance Signature Reference. These cables are designed to be discreet, for easy installation, with all the benefits you would expect from shielded cables. The C-screen is a mere 8mm in diameter highly, so it can easily routed around corners with ease. The cable is covered with a white outer jacket, protecting the shielding and also has a consequence of making the cable virtually invisible against white skirting boards. C-screen is made of multi-stranded and oxygen-free copper conductors, are organised in a twisted-pair configuration and insulated with low-density polyethylene to reduce any unwanted extraneous interference. 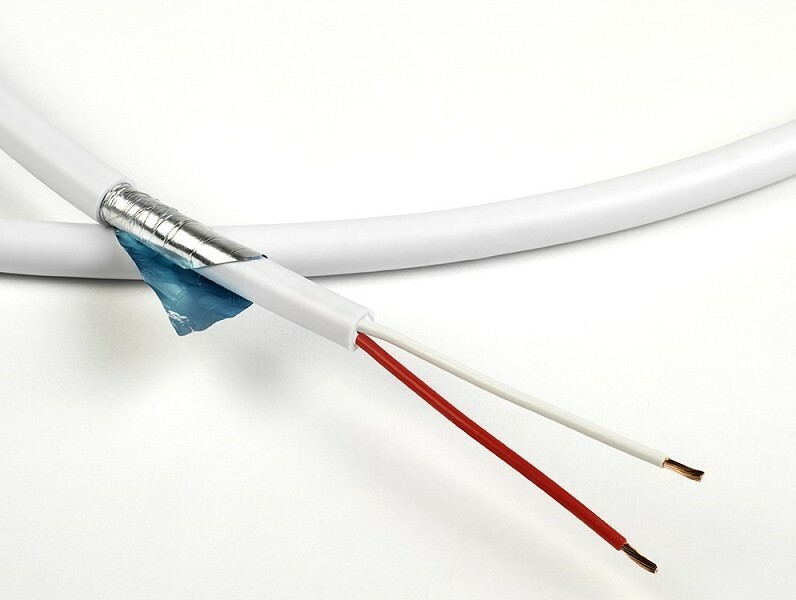 The cable is enclosed in PVC that significantly reduces the mechanical noise and organises the space of the conductors correctly, which is relative to twin-foil shielding. 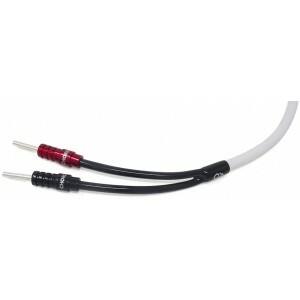 C-screen has the same characteristics as the other Chord shielded speaker cables, it carries the audio signal whilst maintaining coherence and involvement. The C-screen shielded speaker cables bring increased performance benefits for Hi-Fi and home theatre systems, where any interference can seriously affect acoustic pleasure. At such a low price and with un-questionable performance one might expect from a Chord speaker cable, The C-screen cable is perfect for home theatre set-ups, where complex cable prerequisites are normal. The C-screen performs extremely well over longer runs and is incredibly easy to install. Supplied bare wire off the reel (per metre) we also offer an optional banana plug termination service for this cable. As usual we will cut the total number of metres of cable in half and terminate a stereo pair (e.g. if you order 8 metres we'll cut this in half and terminate a 4 metre pair) unless you contact us once youve placed your order to specify otherwise. To read more or add this service to your order, click here.